On 1 November, ASPI and the Begin–Sadat Centre for Strategic Studies met in Tel Aviv, Israel, at the third Be’er Sheva Dialogue to build on the work initiated at the first round, held in Israel in 2015, and the second meeting, held in Sydney last year. The ASPI–BESA dialogue brings together experienced voices from Australia and Israel to share perspectives and analyses on common security challenges, while reflecting more broadly on the outlook for the relationship between the two countries. 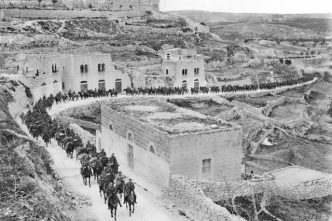 Having participated in all three dialogues, I think it’s fair to say that the Be’er Sheva Dialogue (named after the 1917 battle in which the Australian Light Horse fought) has grown in stature. That’s evidenced by the number of high-level Australian and Israeli participants across government, parliament (from both sides of Australian politics), academia, think tanks, industry, the military and the intelligence communities. A number of Australian and Israeli delegates commented that the increasing maturity of the dialogue means there’s now a greater candour and depth to the discussions. Prime Minister Malcolm Turnbull addressed this year’s dialogue. His audience also included many supporters of the Australia/Israel & Jewish Affairs Council, who’d made the journey to Beersheba to attend the commemoration of the centenary of the famous charge of the 4th Light Horse Brigade to capture the town on 31 October 1917. 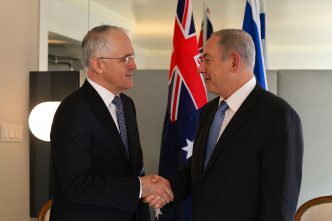 Turnbull saluted the achievements that the dialogue had accomplished in a short time, identifying areas of collaboration in defence between Australia and Israel for their mutual benefit. The prime minister’s visit to Israel culminated in the signing of a memorandum of understanding on defence industry cooperation. Australia and Israel also agreed during Turnbull’s visit that our respective defence officials will now hold annual discussions on strategic and security priorities. To date, there have been almost no high-level military exchanges between the two countries. 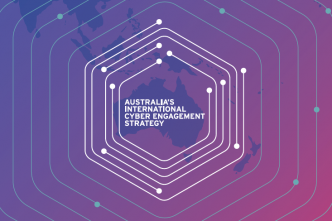 There’ll also be a track 1.5 cyber dialogue held in Australia next year. These positive measures were suggested at the earlier Be’er Sheva dialogues and were set out in a joint paper produced last year by ASPI and BESA. We’ve always been seen as friendly by Israel, although it’s rarely been a major focus of policy efforts in Jerusalem. While there’s a mutual recognition of shared values, there hasn’t been sufficient recognition given by either state to how each contributes to the other’s national interests. What both countries are now discovering through high-level visits and track 1.5 dialogues, such as the Be’er Sheva Dialogue, is that there are also lots of opportunities to enhance bilateral cooperation. In a way, that’s hardly surprising. Both countries face challenges from Islamist extremism. 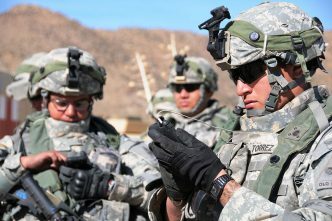 Both countries’ militaries are focused on how to incorporate cyber capabilities into military operations. Both countries operate American equipment and both are close to major choke-points along maritime oil and trade routes, making maritime security an important component of national strategic policy. In air power, both countries have acquired the F-35. 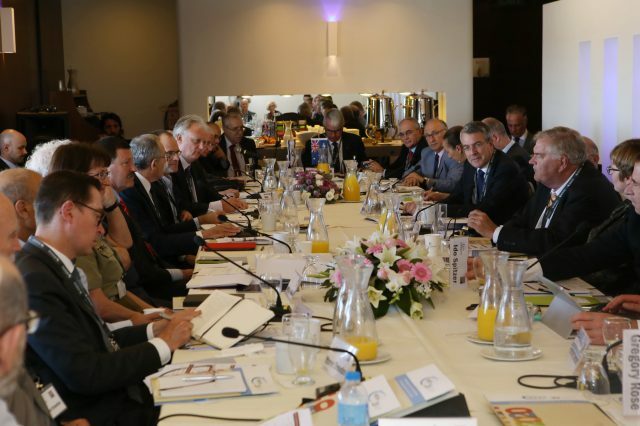 Delegates to the 2017 Be’er Sheva Dialogue exchanged views on regional challenges in the Indo-Pacific, the Middle East and Eastern Mediterranean, terrorism, cybersecurity, maritime strategy (Israel is highly dependent on sea commerce and has significant offshore energy resources), defence industry cooperation, strategic policy under President Donald Trump, and hybrid warfare strategies. On the cyber and innovation agenda, it was evident that Australia can learn a number of lessons from the Israeli cybersecurity success story, particularly in start-ups and skills development. But we need to be mindful that the Israeli experience may not directly translate to Australia: much of Israel’s success stems from compulsory military service and the unique cybersecurity skills nursery that the Israeli Defence Force provides. In an interesting aside, one delegate noted that Australia is benefiting from Israeli technology in our almond industry. Significant investments here are safeguarded by Israeli sensors in orchards that tell what the trees need, such as water and fertiliser, making this an unusual cybersecurity issue. 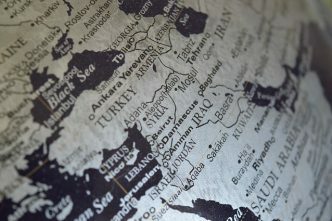 Areas noted for possible future joint exploration were how both sides can counter the soft-power threats to liberal democracies and how to leverage social media monitoring for indicators of radicalisation or intended terrorist acts. It was also clear from our discussions that there are prospects for further joint exchanges on how we can share experiences of hybrid threats and what they mean for the battle space, as well trends in military innovation, specifically unmanned aerial vehicles, force protection and missile defence. There was a strong interest in sharing lessons on how to protect the gas industry at sea. Australia and Israel should identify the conditions for closer practical collaboration in cyber industries with security applications. Israeli government agencies work closely with their cyber industry. Australia can learn a lot from the Israelis on how to build trust and achieve a common purpose between government and the private sector. The discussions about China, particularly on critical infrastructure investment in Israel (China is building key Israeli ports and Chinese military vessels have visited Haifa), suggest there’s an opportunity for greater exploration between the two nations on the role of China and foreign investment. In defence, consideration might be given to undertaking a small-scale joint Australia–Israel military exercise in the coming year in an area of mutual interest. The announcement of defence exchange between officials is very positive, and consideration should be given in the near future to having a regular ministerial-level dialogue. On international policy, our discussions showed that there’s potential for looking beyond bilateralism and mapping possible structures for discreet multi-party consultations (for example, with India, which Israel is forging closer relations with). The third Be’er Sheva Dialogue again underlined how each state can contribute to the other’s security interests. Anthony Bergin is a senior analyst at ASPI and senior research fellow at the ANU’s National Security College. Image courtesy of Yoni Rafe.